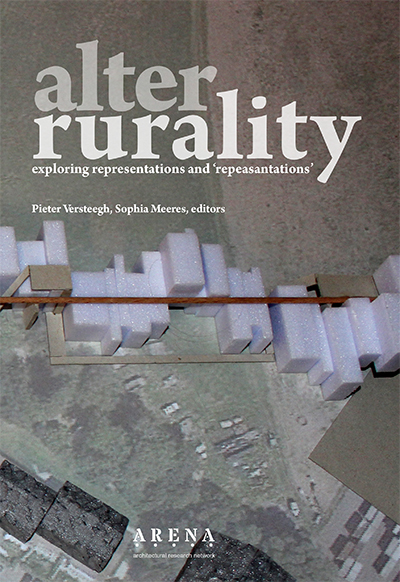 Rurality may be a cradle for new forms of human settlement. 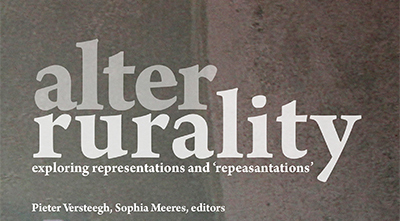 AlterRurality is suggested here as a field to be explored, a new representation to be invented: a moving constellation of concepts, natures and practices inspired by rural values. It is neither a nostalgic claim for a return to lost nature or for an idyllic rural life, nor does it reduce the rural habitat to an urban perspective. Rather, it is an attempt to re-invent peasantry: to re-inscribe rurality as prospective and innovative ways of being into contemporary society. What is it that organizes rurality? This book explores perceptions reaching underneath landscapes and aesthetics, suspending messiness, addressing different modes of economy and governance. Can we fertilize new grounds for human habitat? Can we harvest new insights, seed wisdom otherwise when living bodily, in a renewed ethical and sensorial contract with nature? We then need to build up a new imaginary, one of AlterRurality. And, using the very stakes of architecture, to draw futures that may emerge from such representations: futures of ‘repeasantation’.